Under the Health Insurance Portability and Accountability Act (HIPAA), all health care practitioners (nurses, doctors and pharmacists) are supposed to ensure that all electronic protected health information (e-PHI) and protected health information (PHI) are in the safe hands. As a physician and a medical practitioner, you should be cautious about patient communication because things are not operating as they used to in the 19th century- in the current e- driven world, hackers and scammers can easily access patient details if you are not keen on your server security. This is because medical records and hospital information are attractive targets for being attacked by viruses and cyber theft. Why medical professionals should protect themselves with HIPAA? What will happen if you lose your iPhone or computer? It’s in these devices that you have saved your passwords to access your emails where you communicate with your patients and other medical practitioners. I bet you don’t want that to happen to you. Research has shown that hackers often look for items such as phones and computers to access hospital data, especially from the people who work in the related facility. When you are compliant with HIPAA platform your data is quite safe because the hacker will find it hard to get into the system because they will be required to fill in any confidential details which will be hard to guess. I think you get the POINT of emphasis – complying with HIPAA is very essential. While the medical field doesn’t demand much from you, here is an important point, it is evident that consumers and various stakeholders demand more of personal health data, but what you didn’t know is the fact that they often need high levels of privacy. If you are in management or your dream is to work in the medical field someday, then you might need to repeat those lines once more. Being compliant with HIPAA can bring you more clients and stakeholders whom to partner just because you have chosen to make privacy and confidentiality a priority. Imagine what that can bring, of course, more profits and better health outcomes for your patients. With many applications to download in your mobile phone or PC, you can connect to a community discussing many controversial issues; politics, religion and at times you can even be tempted to share some crucial health information with them. On the other hand, given the nature of work that medical practitioners and physicians have to deal with, protecting yourself with HIPAA can be crucial to avoid sharing information that is specific to a patient or even some photographs that violate confidentiality and privacy policies. You should be cautious when making replies to the internet and also giving a review on issues on health. Medical practitioners and physicians are in no way allowed to give information in reference to an individual or a specific group of people. When you are compliant with HIPAA, violating the privacy and confidentiality policies can cost you up to $1.5 million and therefore the medical community must take PHI information seriously. 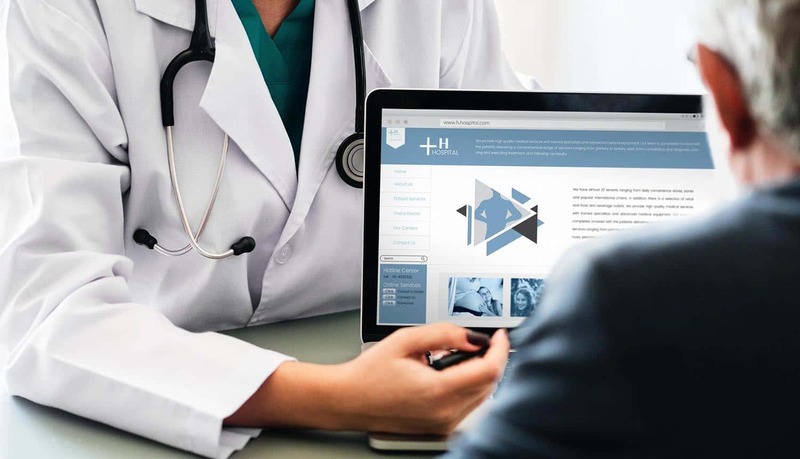 With an increase in access to the internet everywhere, who wants to be the culprit of allowing data to slip through their fingers – HIPAA is more than essential for the medical community in today’s world. Data without encryption (that’s in the open) is at risk of being accessed by malicious individuals/sites given the sensitive nature of such data. The most important step when handling PHI is to enable email encryption when sending and sharing patient details. Encryption of data actually means the use of algorithms that makes the information complex and not possible to be read by someone who doesn’t know what some numbers and values imply. When you comply with HIPAA as a physician or a medical practitioner, your emails are protected making you professionally sound. How is encryption important? In the case whereby an email is sent to an insurance company or a patient and someone unauthorized tries to read the information, they are unlikely to access anything because they don’t know the encryption key. With an increasing number of hackers who target hospital registry information through user error and technology adoption, email encryption is now important than ever for all healthcare professionals and the only way to do so is by protecting themselves using HIPAA. It is great for keeping patient information confidential, isn’t it? As a medical practitioner or a physician, you are required to fill in your patient’s past and present history. Upon the introduction of Health Information Technology for Economic and Clinical Health (HITECH) Act of 2009, all medical practitioners and physicians are required to file the patient’s past and present history, which is to be saved and restricted to authorized persons only – this was based on the HIPAA rule which required all medical practitioners and physicians to observe as far as protecting health information is concerned. Information sharing is also a concern for both medical practitioners and patients with implications of privacy and confidentiality, and with the adoption of electronic health records as a physician or a medical practitioner, you need a safe platform to share your patient’s data. Adopting a HIPAA confidential system with HITECH can just make you more comfortable while at work because you are sure of the privacy of clients. HIPAA is properly scrutinized, why do we say so? In America today, any organization either a non-governmental or in the government-sponsored is required to comply with HIPAA especially if they are handling PHI. These comprise of pharmacies, nurses, doctors, nursing and any other kind of business; nonprofit and even universities that provide health information like Medicare and HMOs. The challenges facing healthcare data security in the 21st century are numerous. The most important interventions to take on the current eHealth world include: having encrypted data which is only limited to authorized people – this can be made possible through coding and use of encryption keys; being more cautious in social media platforms can also serve as an important concept in keeping patient information confidential, and can be achieved by making reviews only in general rather than mentioning specific individuals and groups. All these interventions and recommendations can be made easier when medical practitioners and physicians comply with HIPAA. It’s no doubt that some companies which deal with health are more successful than others. When making claims, referrals and even benefit eligibility inquiries complying with HIPAA can make things a little bit faster because in the medical field nowadays, standards in transactions is under the HIPAA rule making it a crucial step for you to take if you would like to be more successful.